NA62 is the next generation high intensity kaon experiment at CERN, aiming to start data collection in 2014. Identification of the incoming charged kaons (a 6% minority fraction in an intense 800 MHz secondary hadron beam) is crucial for background suppression. To this end, the KTAG detector has been designed to detect Cherenkov photons produced by the kaons in a CEDAR gas Cherenkov counter installed in the beam line. 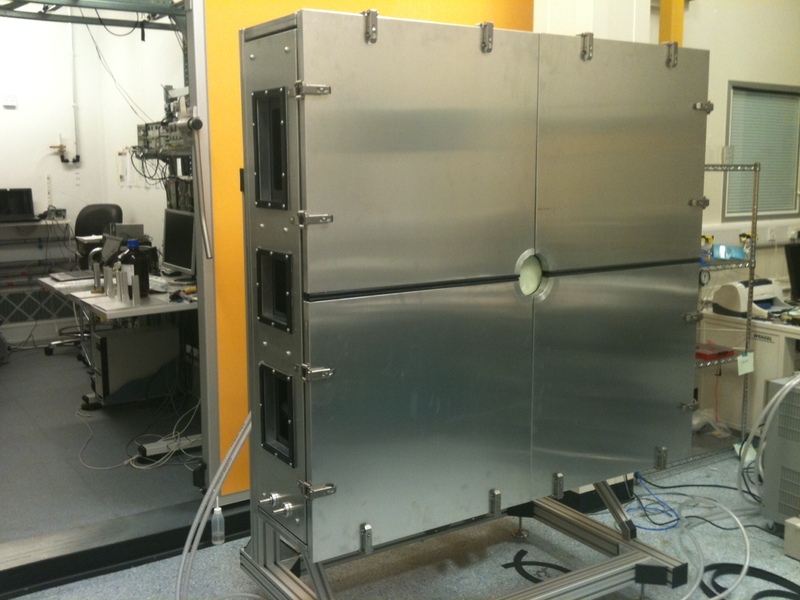 The state-of-the-art detector aims to achieve the highest kaon tag time resolution (better than 100 ps) at an overwhelming overall photon counting rate of ~1 GHz, and features unique ultra-fast electronics. 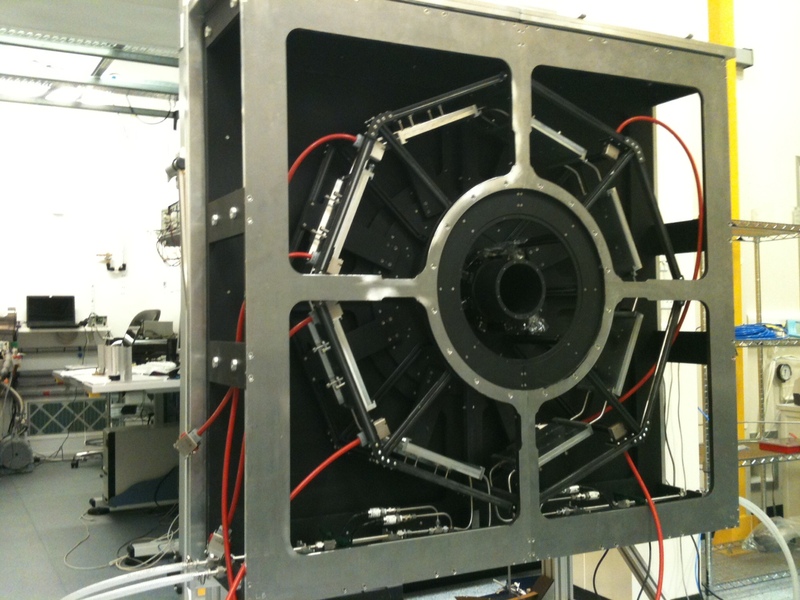 The KTAG detector, including mechanics, cooling, optics and electronics, has been fully designed and constructed in the UK by a team from the Universities of Birmingham, Bristol, Glasgow and Liverpool. The delivery of the complete KTAG detector to CERN on 17 September 2012 represents a major milestone for the NA62 experiment. The CEDAR beam Cherenkov counter was very recently installed in the NA62 beam line at CERN. The integration of the KTAG detector with the CEDAR will take place on 18-21 September 2012. The system will be tested during the NA62 technical run, which is starting on 29 October 2012.